Hercules isn’t my favourite Disney film, in fact it’s one I didn’t really watch that much when I was younger, but it’s got some great songs. Zero to Hero is my favourite from Hercules and one of my favourite Disney songs in general. I love how up beat it is and the voices of the Muses – Lillias White, LaChanze, Roz Ryan, Cheryl Freeman and Vanéese Y. Thomas – are phenomenal. I’ve always had a soft spot for gospel music and having a gospel style song in a Disney film is inspired. I love the lyrics in Zero to Hero too. They’re really fun and have a lot of jokes and references that I definitely didn’t get when I was a kid. The lyrics and the big energy choir phrases, combined with a fast-paced tempo and a rhythm you just want to clap your hands to, makes Zero to Hero a great and memorable song. This is a song I can never get tired of listening to – I’ve even learnt all the words! When Jim Hawkins (Joseph Gordon-Levitt) discovers a map to a legendary pirate’s treasure, he embarks on a journey with a crew led by Captain Amelia (Emma Thompson) to find it. But danger is close with John Silver (Brian Murray) on board. Everything about this film is wonderful! 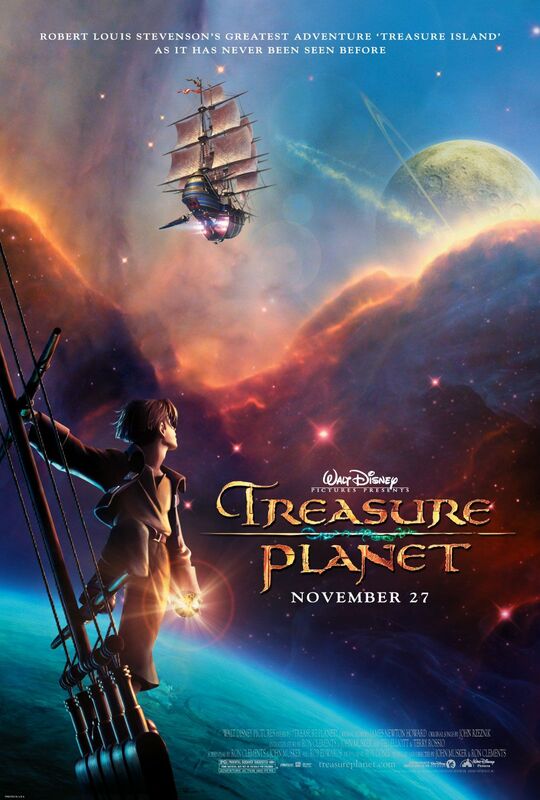 Treasure Planet is an adaptation of Robert Lewis Stevenson’s Treasure Island and it’s a story that works surprisingly well in space with it’s larger than life characters and the action and intrigue. Jim is a great character as his experiences shape him, he grows from being a young rebel dreaming of adventure to someone who puts his life on the line for others. Jim’s relationship with John Silver is brilliant too. The film does a great job of showing how Silver isn’t a one-dimensional villain and while he may be desperate for treasure, he may also start to care about Jim as well. The animation style is great as it’s a mixture of traditional hand-drawn and computer animation. The human characters are hand-drawn while more mechanical characters are made from CGI, these two styles along with the gorgeous colours of space makes everything on screen look beautiful. The two songs featured in Treasure Planet by John Rzeznik from the Goo Goo Dolls are fantastic and I’ve been listening to them almost non-stop since I watched the film. I’m Still Here is like a gut-punch when you hear it during the film as you really see and feel what Jim is yearning for. The score is also great and it’s suitably epic and beautiful. I missed Treasure Planet when it was first released over 15 years ago. I didn’t watch a lot of early 2000’s Disney films – I think I thought I was too old for them – and I’m annoyed at my younger-self as I was missing out on a thrilling adventure with great characters and stunning worlds and technology. Treasure Planet is now one of my favourite Disney films, it’s up there with The Lion King and The Beauty & the Beast for me. Treasure Planet is a great adventure and I loved every second. 5/5. Miguel (Anthony Gonzalez) is an aspiring musician but due to his family’s belief that music is a curse, he’s forbidden to follow his dream. When he attempts to play in his towns talent show, he ends up in the Land of the Dead where he meets his ancestors and goes on a quest to find his musical idol and great great grandfather Ernesto de la Cruz (Benjamin Bratt). Coco is Pixar’s latest film and they have once again upped their animation skills. Coco is a beautiful looking film. The Land of the Dead is one of the most alive places I’ve seen on screen for a long time. The colours are bright and glowing and the whole place looks and feels magical. In the Land of the Dead, Miguel meets Héctor (Gael García Bernal) a kind of scoundrel but a guy who says he’ll help Miguel out. As the film progresses you learn there’s much more to Héctor than meets the eye and it makes him one of the most interesting characters. That being said, all of the characters are interesting, and you can understand where they’re coming from – even the members of Miguel’s family who are so against music. This is a family who was hurt in the past and fear being hurt again, even if that means stopping one of their loved one from doing what they want to do. The themes in Coco are incredibly important and relatable, and are shown in a story that’s relevant to everyone. 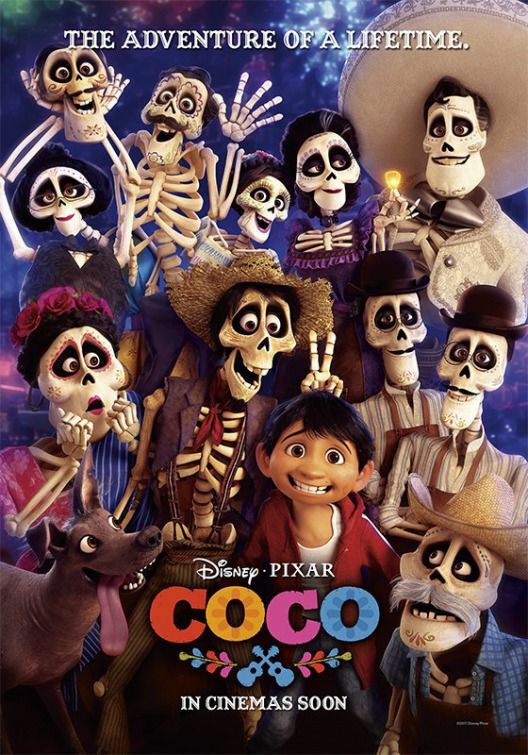 While Coco is about a Mexican family and features a lot of Mexican culture, especially Dia de Muertos (the Day of the Dead), at it’s heart it’s a story about family, following your dreams, and of life and death. There’s some heavy stuff in Coco about death and remembering loved ones when they’ve gone but it’s all handled very well. Coco features some lovely songs too. While none of them are the kind of songs that get stuck in your head, the songs and the score, composed by Michael Giacchino, are beautiful and fits the tone of the film perfectly. That’s the thing with Coco, nothing about it seems rushed. Yes, there’s action and humour but it really feels like your just following this boy on his journey and it goes at a pace where you can take in all the magical sights and the emotions it gives you along the way. Coco is a wonderful film. There is a very good chance it will make you cry, but it won’t be due to sentimentality, and that’s the best kind of tears over a film. 5/5. 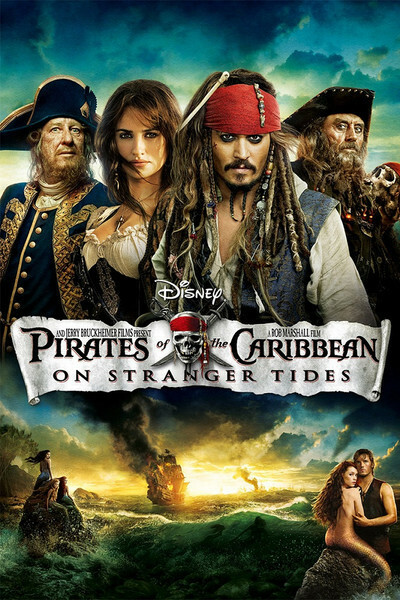 Jack Sparrow (Johnny Depp) is coerced by old flame Angelica (Penélope Cruz) and her father Blackbeard (Ian McShane) into a quest to find the fountain of youth. They aren’t the only ones after it though with the Spanish and the British, led by Barbossa (Geoffrey Rush), searching for it too. While On Stranger Tides continues the trend in this franchise of having great costumes, music and set design, it unfortunately doesn’t have the fun or emotional-heft of the previous films. This may be in part as it’s the first film not to feature Elizabeth (Keira Knightley) and Will (Orlando Bloom), two central characters in the previous three films, and instead you have a new villain, new crew-mates, and a new love interest for Jack. Blackbeard is a decent villain. He’s menacing and has a very clever ship, though this is probably down to Ian McShane’s performance more than the script. Blackbeard is set up to be a fearsome pirate but after you initially meet him, he’s not that fearsome. He’s by no means a nice guy and is incredibly selfish but he’s not terribly threatening after the initial reveal. There’s a side romance with missionary Phillip (Sam Claflin) and mermaid Syrena (Astrid Bergès-Frisbey) that could have easily been done without. In many ways, they are both plot devices, Phillip especially, and there’s not enough insight into their character for the audience to become attached to them in anyway. On Stranger Tides is just a bit bland. It’s moves from one event to another and because there’s no real character development nor many interesting characters full stop, the times these characters are put in danger you don’t really care. Jack Sparrow, while still a bit mad and full of plans that unbelievably work, isn’t enough to make this film enjoyable. 2/5. 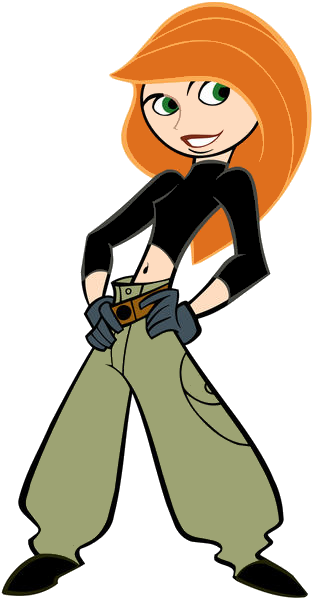 Now it’s time for a bit of nostalgia – Kim Possible was not only one of my favourite cartoons when I was in my early teens but I’m also pretty sure for a while I wanted to be just like Kim herself. Kim Possible is a really fun show, I loved the humour and all the characters – I especially liked Shego and the kind of mutual respect she and Kim had for each other. Oh, and the puns! Love a good pun so Kim Possible being a pun of the word “impossible” and Ron Stoppable being a pun on “unstoppable” were right up my street. Kim was just so cool. She was a spy, she had cool gadgets, she was funny and popular but never mean about it – she was definitely the sort of character I aspired to be like when I was a teenager. I also really wanted Kim and Ron to get together! They were probably one of my first ship’s and I loved them as both best friends and when they finally ended up as a couple. I feel like Kim Possible, along with Totally Spies, is what started my love of spies and superheroes, because Kim was kind of a superhero. She had a secret double life, tech support in the form of Wade, and a sidekick in Ron. Kim Possible was one of those shows I’d watch when I was channel hopping, even when I’d “grown out of it” because that’s the thing, the quick dialogue and humour was something that could appeal to all ages. Who can forget the theme song?! I always used to sing along and I wanted my own phone to make that beeping noise when I got a text – I’m sure you can download it from somewhere but I’ve never got around to it. Pete (Oakes Fegley) has been living in the woods for years with his best friend Elliot, who just happens to be a dragon, but when Pete is discovered by park ranger Grace (Bryce Dallas Howard) their happy life is upended when she and the townspeople try to take Pete back to civilisation. Pete’s Dragon is old-fashioned and kind of nostalgia-inducing in the best way. It is full of imagination and wonder and is such a light, hopeful film after all the grim, dark stuff we’ve got lately. It is a family film full of great character dynamics and no one is made into a pantomime villain, even Gavin (Karl Urban) the man who believes Elliot to be dangerous has some redeemable qualities and you can see the reasons behind his actions. Pete’s Dragon is a beautiful film. The shots of the forest are stunning and the work gone into bringing Elliot to life is top-notch. He looks like a real creature and the way he interacts with Pete and other characters is brilliant. Elliot has the characteristics of a big friendly dog and he is so well animated that you can see his personality shine through in his actions and in his eyes. The film is a bit slow to really get going. It takes its time setting up Pete and Elliot’s relationship as well as other characters in the town like Grace and her relationship with her father Meacham (Robert Redford). However, once Pete comes into contact with Grace and the rest of the town the pace does pick up a lot and the final act is a roaring adventure. 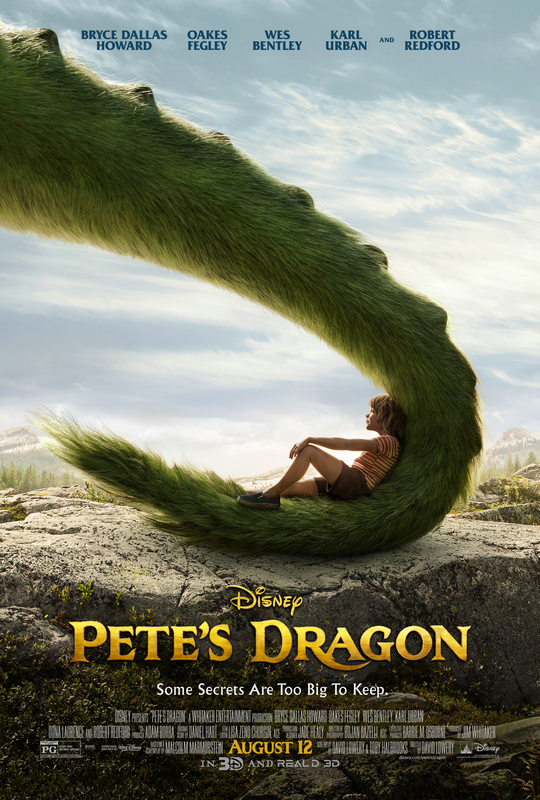 Pete’s Dragon is a lovely film, full of heart and old-school adventure. 4/5. I’m sure there’s many a human character whose name begins with a Z but I went for an animated animal in what is probably my favourite Disney film of all time. Zazu is a red-billed hornbill and is kind of like Mufasa’s adviser/secretary and Simba’s teacher. Like any teacher that doesn’t have much respect, Simba and Nala run circles around Zazu and he probably wants to hurt them as much as he wants to look out for them. 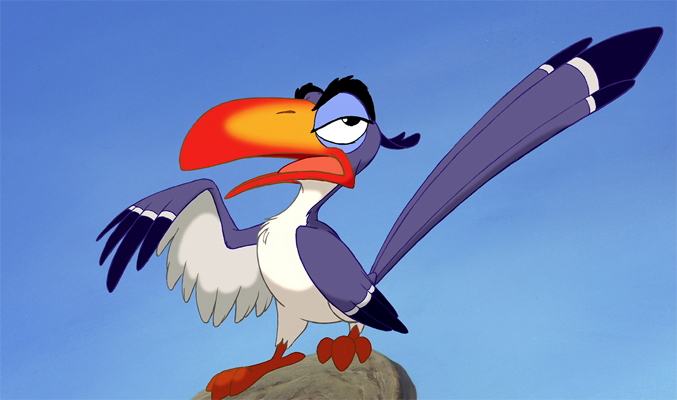 Zazu is one of those guys who can be annoying for sticking to the rules but he is also the sort of guy you can rely on and he probably has good ideas. And he is funny, it probably helps that Rowan Atkinson voices Zazu because his sarcastic British voice really brings Zazu’s attitude to life. I love everything about The Lion King but I didn’t really appreciate Zazu or see how clever his humour was until I watched the film again as an adult. He’s definitely the kind of character that adults would maybe relate to more than children.